For those that may not be partial to seafood we carry top of the line steaks. We offer Hertford brand filet mignon and Butcher Block Reserve New York Strip and ribeye. 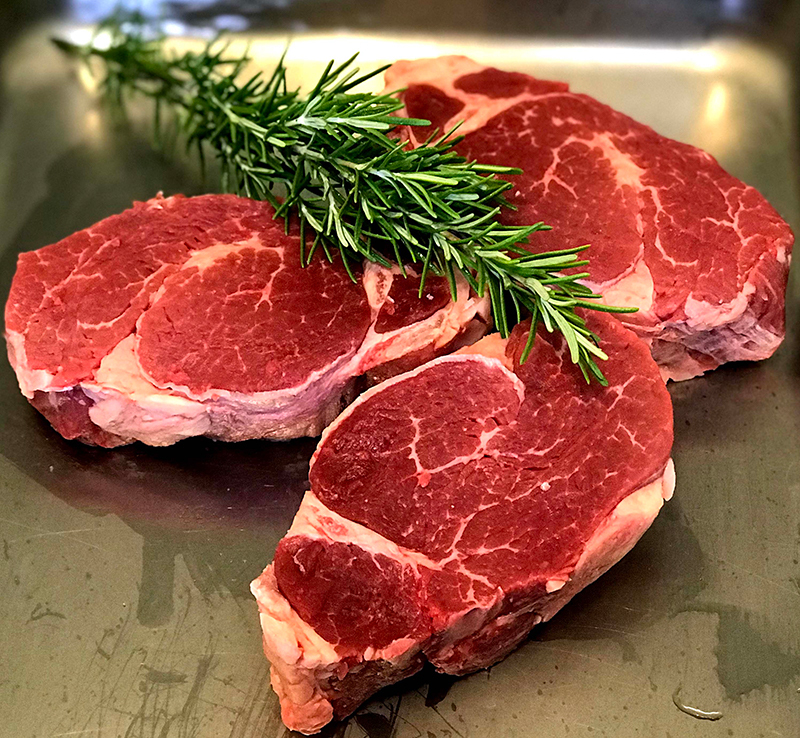 Our steaks can be cut to order or sold in bulk. Start with a great piece of meat, follow with a great chef preparing it, and the result is a flavorful meal that creates lasting memories for all. That’s the goal each time we cut a piece of meat at our Corolla seafood and meat market. We’re passionate about quality and love feasting upon delicious food as much as the next guy. As such, we provide our customers with food that is produced from the best, top-quality cattle raised in comfortable conditions by ranchers who understand how great this impacts the overall cut and taste while also minimizing waste. We think you’ll appreciate the way we do things around here. Butcher Block Reserve and Hertford brand are the beef of choice. The exceptional product needs nothing more than a great chef to bring its flavor to life on the dinner plate. Visit our clean, well- kept Outer Banks store when you need delicious, quality cuts of meats. We focus on detail when cutting meats, ensuring we deliver the quality that exceeds impressions and expectations. Serving these cuts of quality meats helps create a lasting impression from every person lucky enough to experience the tastes. Whether you’re preparing dinner for a special family event or simply a casual meal, you’ll be proud to serve our freshly cut beef selections. As one of the best seafood and steak shops in Corolla, we pride ourselves on giving our customers a memorable experience each time they stop by to see us. Our fresh meat cut to perfection seals the deal and ensures we’re a name that you’ll never forget. Visit us at Bluewater Seafood Market!